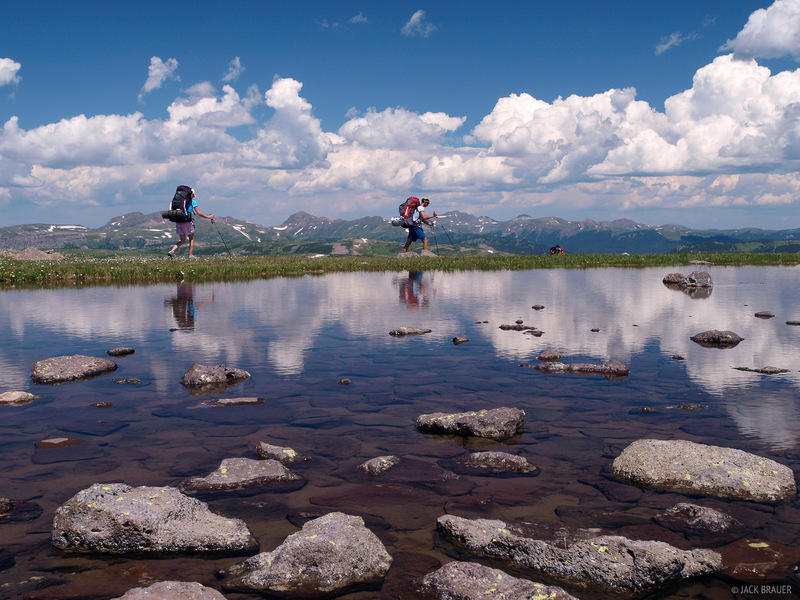 Aimee and Parker hike past a small tarn along the Continental Divide Trail. During the first few days, the trail passes over several huge, broad, flat plateaus spotted with hundreds of little lakes. Off in the distance in this photo, you can see the higher peaks of the northern South San Juans, which we would soon be hiking through.